Awaken the natural beauty of your skin! 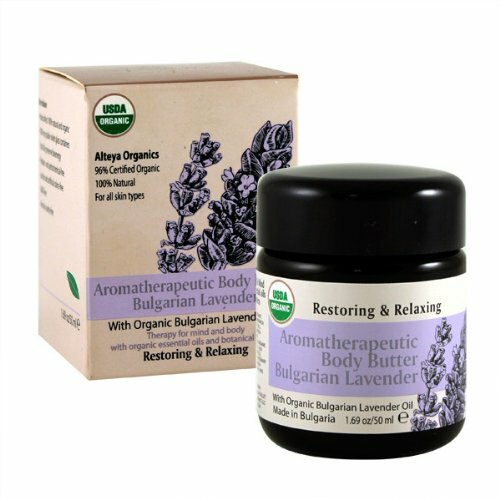 The Organic Lavender Aromatherapeutic Body Butter by Alteya Organics is a unique natural blend of rich organic butters and essential oils that help your skin look its best. This rich botanical blend works from head to toe, improving skin texture and restoring its moisture balance. It protects skin from flaking, chapping, and irritation and slows down the premature aging process. The specially formulated body butter provides gentle, intense moisture, restores softness and shine, and improves the cell renewal process. It increases hydration and skin elasticity by forming an invisible veil protecting your skin from free radical damage. This natural remedy, rich in vitamins, nutrients, and fatty acids, will swipe away dullness and dryness, delicately smoothing rough areas, to reveal luscious skin that you will love. If you have any questions about this product by Alteya Organics, contact us by completing and submitting the form below. If you are looking for a specif part number, please include it with your message.